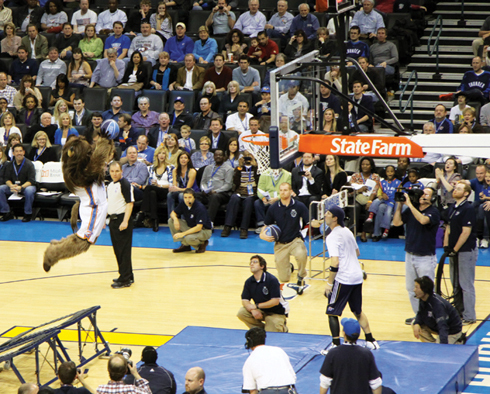 OCCC night at the Thunder game was a success with the Thunder defeat the Indiana Pacers by 24 points. From left to right, Rocky Lee, Garrett Bennett, and Sean Tolbert, get loud during the second quarter of the March 2 Thunder game. The Thunder rumbled past the Indiana Pacers 113 to 89. 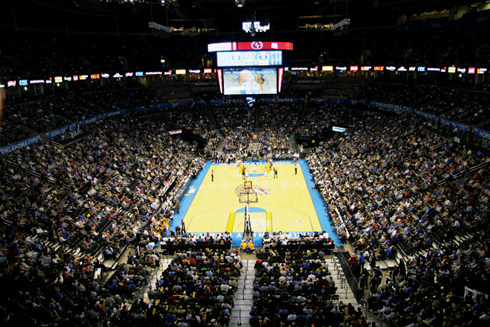 OCCC Purchased sections 315 and 316, then sold the tickets to students at half the purchase price. 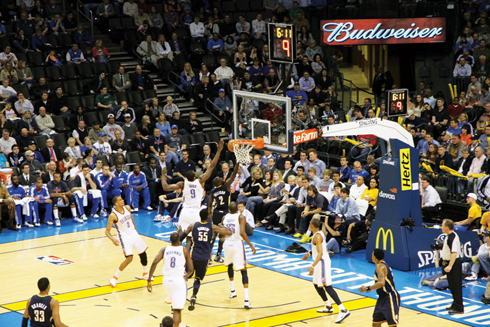 Several students took advantage of the affordable price and watched the OKC Thunder play against the Indiana Pacers. He said he couldn’t pass up the offer. Tolbert, who had never attended a Thunder game, said he figured, what better time than the present? “You’re missing out if you don’t come,” Tolert said. Jordan Barltln said she had a blast with her girlfriends. They bought tickets for a girl’s night out. “I think it is absolutely wonderful that OCCC does this for students,” Barltln said. The Thunder pleased the home town crowd with a romping over the Pacers, winning 113 to 89. The Thunder are smack dab in the middle of the western conference playoff race. Since the Thunder arrived in Oklahoma City, Student Life has been doing philanthropic promotions such as this one, Katie Treadwell, Student Life program coordinator said. 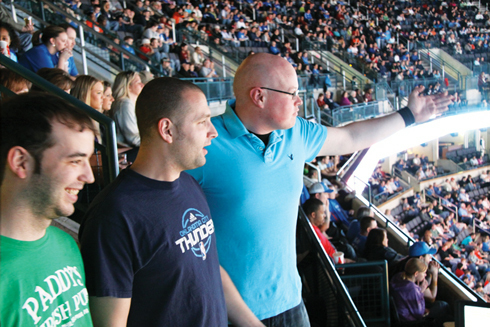 The Student Life office is considering having the same opportunity for students during playoff games, if the Thunder can keep on truckin’ throughout the remainder of the season. For more information about Student Life and their planned activities, visit www.occc.edu/studentlife.